Middlesbrough based Dylan Cartlidge recently penned a development deal with Universal Publishing and you can’t help but feel this is a shrewd move from Universal HQ. Dylan’s influences stretch from Lupe Fiasco and Kanye West right through to The White Stripes and The Black Keys and his latest track ‘Love Spoons’ is a great introduction to this inimitable talent. I recently described Galaxians as West Yorkshire’s answer to Todd Terje. Whilst this isn’t a particularly accurate description (! ), the Leeds based trio unleash playful, soulful and highly danceable music and their latest album ‘Let The Rhythm In’, released on New York’s Dither Down Records, is undoubtedly one of the most underrated albums of 2017. Glasgow has a pretty good track record when it comes to indie-rock and post-punk and The Ninth Wave aren’t shy in building on their hometown’s impressive heritage. Their brooding, anthemic 80s inspired art-pop melds jagged guitars with duelling male/female vocals. Live, the energy is infectious and recent single ‘Liars’ does a very good job of capturing that on record. With a sound that sits somewhere between Caribou and Alt-J, it’s been no surprise to see Low Island picking up plaudits in all the right places in 2017. 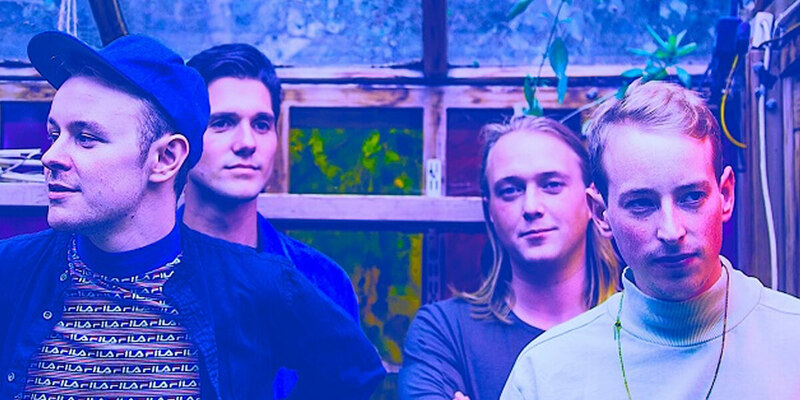 Being an inventive and exceptionally creative band from Oxford inevitably leads to somewhat lazy comparisons to such luminaries as Radiohead and Foals, but Low Island are already proving more than capable of standing on their own two feet. Vistas were undoubtedly the standout band at the inaugural ‘Songs From Northern Britain’ showcase back in November at The Georgian Theatre in Stockton. The young Scottish quartet’s latest single ‘Retrospect’ has been stuck in my head ever since. It’s been a long time since I’ve seen a band enjoying themselves and being so polished at such an early age. Their outrageously catchy singalong indie-pop anthems are capable of effortlessly brightening up these cold and dark December days.